On Sunday 17 September at the Southampton boat show, youngsters from all over the country gathered to compete in the final of the Honda RYA Youth RIB Championship. Each had earned his or her place there by competing at one of eleven regional finals to become regional champion. 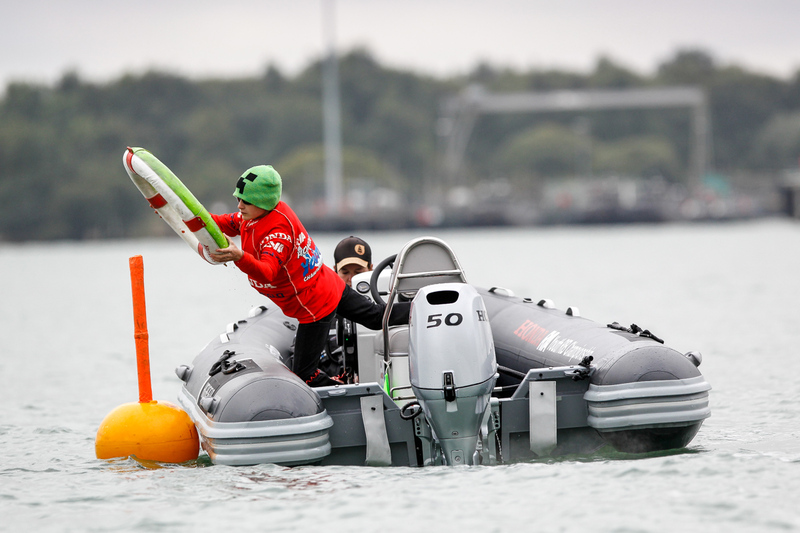 Each competitor must display his/her skill handling a 4.6 metre 50HP RIB on a course of buoys representing a slalom, a man overboard manoeuvre and a reversing exercise, all against the clock. 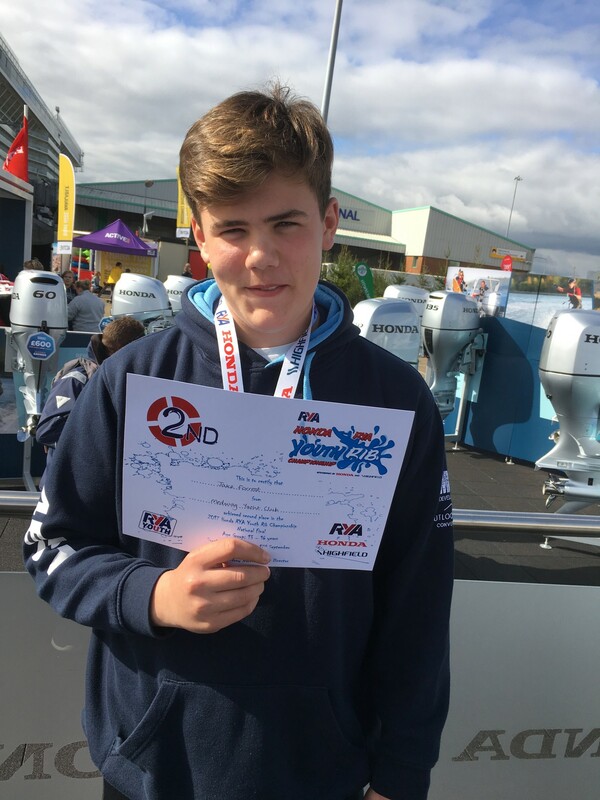 Both of the London and South East region’s champions were from Medway Yacht club: Liam Withey in the 8 to 12 age group and Jake Forrest in the 13 to 16 age group. They did their runs early in the day. The conditions were good for RIB driving and both boys showed great skill and confidence in tackling the course, each putting in penalty-free runs. We had to wait till 4 o’clock for the results and presentation. Liam was 8th with a best time of 1:53:44, highly creditable in a group where most had a couple more years experience. Jake was 2nd in his age group with a best time of 1:10:04, agonizingly short of 1st place by 8.5 tenths of a second. Very well done to both. Despite the initial disappointment of not being first and netting the prize of a new Highfield RIB for the club, all involved had an enjoyable day and are looking forward to competing in next year’s event. We have high hopes of progressing to win a boat or two. We start training again in the new year; look out for announcement on the website and in Sailing Scene.